How can you integrate technology into your instruction to maximize student learning and engagement? This session will focus on how to use technology effectively to enhance quality instruction. 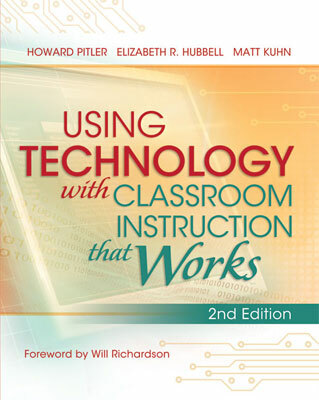 Based on ASCD's Using Technology with Classroom Instruction that Works, 2nd Edition, get ideas on how technology can invigorate your lessons and increase student motivation and interaction. And get a preview of what is new is the upcoming second edition of this best-selling book. Howard Pitler is a senior director for curriculum and instruction at McREL. He works with schools, districts, and state agencies to improve teacher pedagogy to influence student achievement and has been invited to present at technology conferences throughout the country.